John Rae made a wide-ranging contribution to economics, in particular through his work on Capital Theory and Technical Change. Although Rae was held in high esteem by some of the great names of the past who have openly acknowledged his originality and their indebtedness to him, he has not yet received all the attention he deserves. 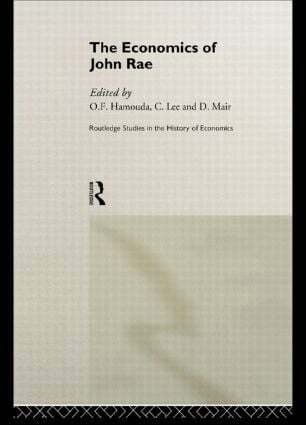 In The Economics of John Rae, respected economists, redress the general neglect of Rae as a classical economist and examine his role as a political economist.